Albert Lum graduated from the University of California Berkeley with a degree in economics and legal studies. In 2008 he received his Juris Doctor from Loyola Law School. He was admitted to the California State Bar in 2008. Albert Lum is a member of the State Bar of California, the United States District Court for Northern and Central Districts of California. During law school, Mr. Lum was a staff member of the Loyola Law School International and Comparative Law Review. He also volunteered as a law clerk with the Los Angeles County Public Defender’s office, assisting deputy public defenders in defending felony, misdemeanor, and juvenile court matters. 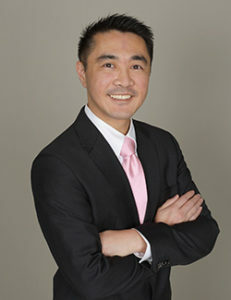 Mr. Lum began his legal career in the area of consumer class actions involving claims of violation of state consumer protection statutes, breach of contract, and TCPA. He also has experience representing public interests in prosecuting cases against companies that harmed consumers and the environment. He joined the Encino/Greater Los Angeles office of Dietz, Gilmor & Chazen in 2017, focusing on defending public entities, self-insured employers, uninsured employers, and insurance carriers. In his free time, Albert likes to garden and visit nurseries searching for interesting plants. A Disney fan, he can often be found at Disneyland enjoying the magic.